Ashton Reserve currently has one, two and three bedroom floor plans tailored to fit individual needs and desires. Each unique space can easily become your own. Finding the perfect place to call home couldn’t be easier. 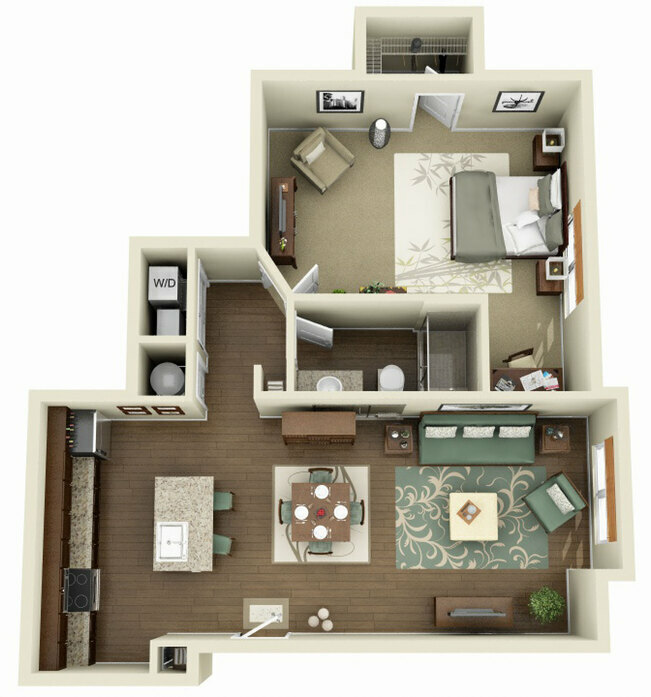 This spacious one bedroom showcases a large open layout floorplan. The apartment features a modern kitchen with clean steel appliances, a private bathroom, and a great walk-in closet. This one of a kind floorplan boasts stunning features, such as granite countertops, an entertainment island, a walk-in shower and plank flooring throughout. No detail was overlooked when creating this layout. There are ample design opportunities with this open concept floor plan. The easily accessible private balcony brings the beauty of the outdoors to your front door. 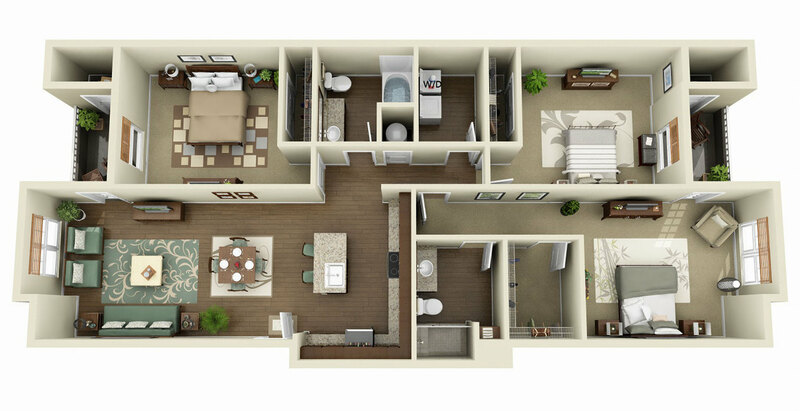 From granite kitchen countertops and large islands, to spacious bedrooms and two garden tubs, this floorplan is perfect for enjoying alone time or entertaining a crowd. 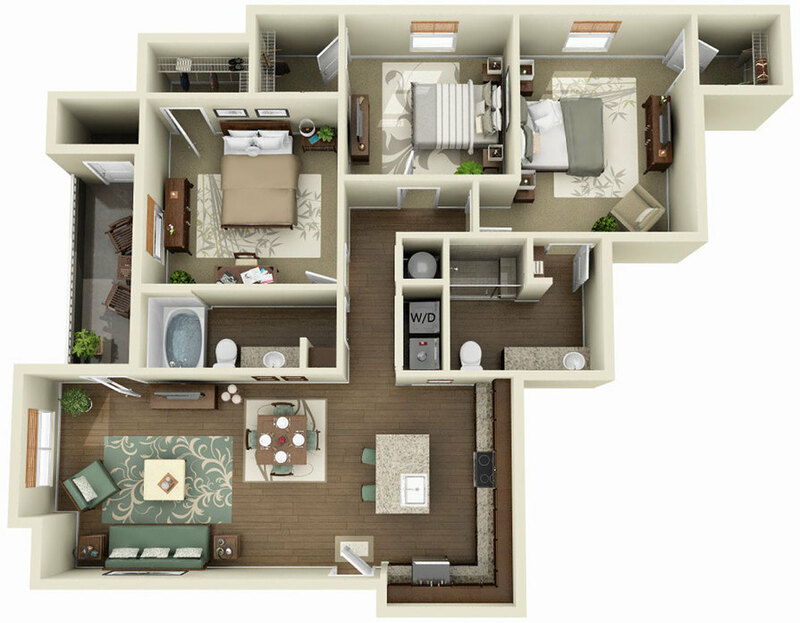 This one of a kind floorplan boasts two spacious bedrooms with two luxury baths. The chef-style kitchen features spacious granite countertops, custom cabinetry and has an expansive island perfect for dining or entertaining. 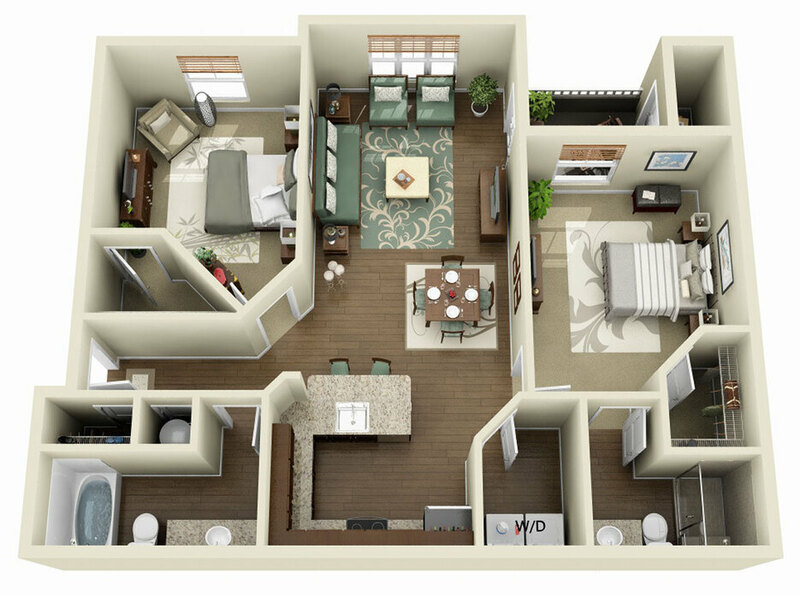 This stunning floorplan features a large living area and kitchen, with plenty of storage in the kitchen, each bedroom and the private balcony. 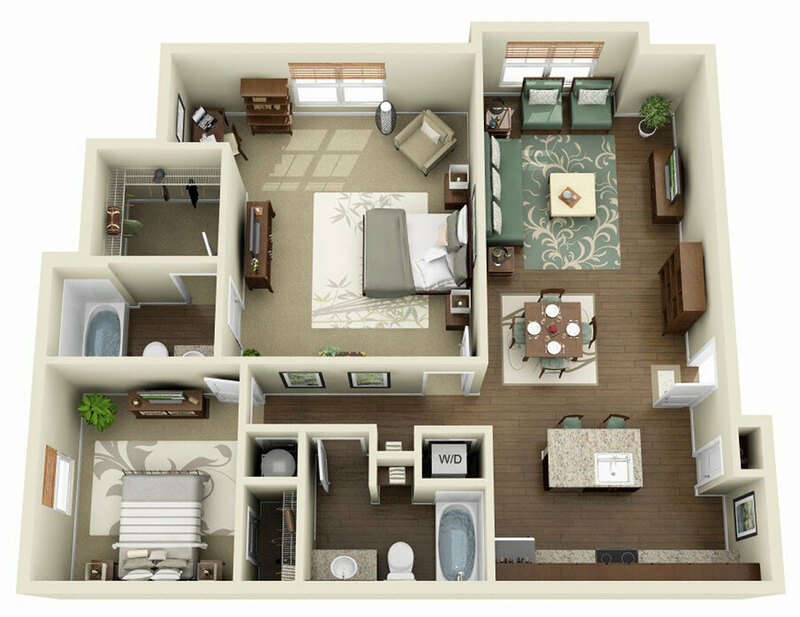 Enjoy all the space this floorplan has to offer, including and open concept layout and two balconies. 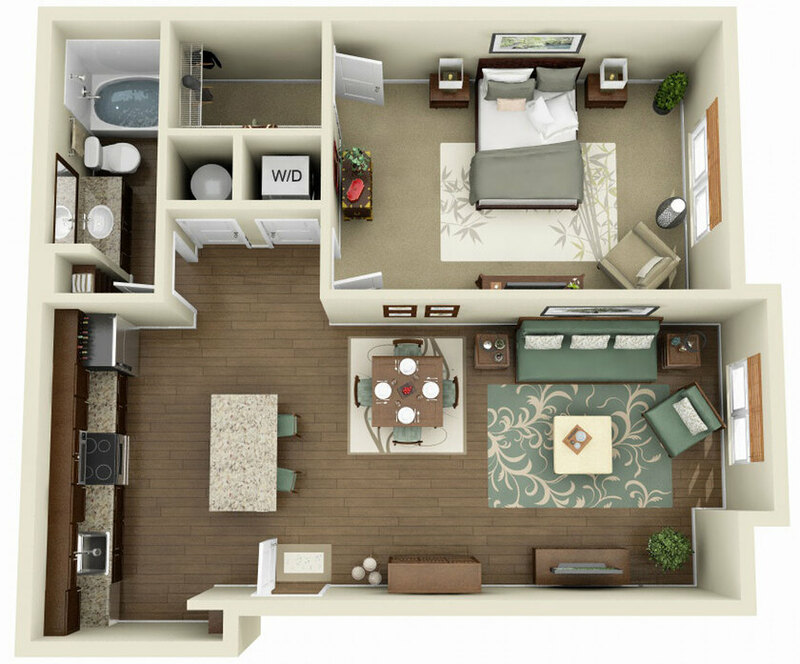 There is plenty of room to create the home you've always wanted.